The October 2016 intake of the programme is now open for registration. Please send us an e-mail at enquiry@reca.edu.sg or call our Programme Manager Ken Chew to find out more about the programme. 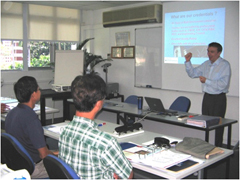 For more information on the Masters programmes, please click here. To view a list of university approved workshop facilitators, please click here. 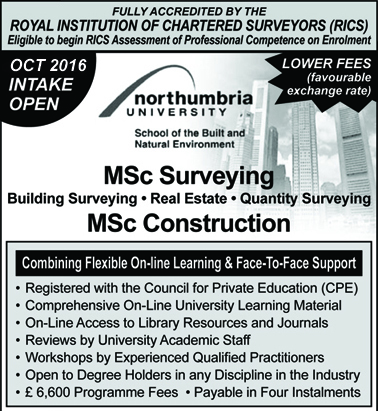 For more information about Northumbria University - Department of Architecture & Built Environment, please click here. 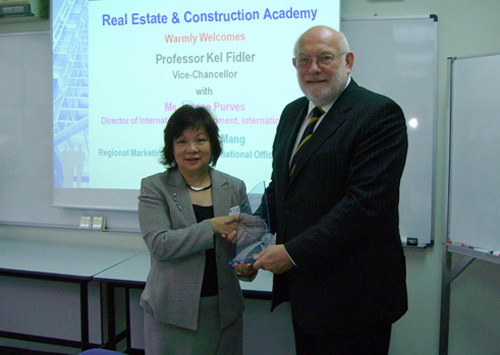 Exchange of Mementoes between Professor Kel Fidler, Vice-Chancellor of Northumbria University on occasion of the launch of the MSc Surveying/Construction programme in Singapore.